Jan qualified as a solicitor in 1977 and has always specialised in family law, though in the last 10 years she has become very experienced in Wills and probate as well. Jan sat as a Deputy District Judge in the Central Family Court for over 12 years but more recently continues to sit in the Kent Courts dealing only with family matters. 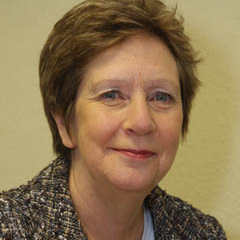 Jan is Chair of Governance and a Trustee at Ellenor Hospice in Northfleet and a Trustee of Age UK North West Kent. In her spare time, Jan hates reading personal profiles on websites which end with a cringe-inducing quip about a solicitor’s hobbies, usually finished with an exclamation mark! 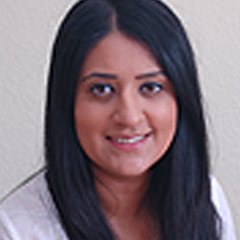 Raveen qualified as a solicitor in 2009 and now specialises in family law and the preparation of Wills and Lasting Powers of Attorney. Raveen is fluent in Punjabi. In the local legal community, Raveen is Honorary Treasurer for the Gravesend and District Law Society and is a member of the Management Committee for Kent Law Society. Lori is an experienced family and private client solicitor who qualified in 1987. Lori has expertise in all aspects of family law, including divorce, civil partnership, finances, pre and postnuptial agreements, cohabitation disputes and children matters. Lori also has extensive experience in dealing with the preparation of Wills, Lasting Powers of Attorney, Court of Protection, Probate and estate administration from simple to more complex estates. Lori’s blend of knowledge of both family and private client law enable her to deal with a range of matters that may affect a family. Leigh-Anne qualified as a solicitor in 2009 having trained at a niche family law firm in London. Prior to joining Stantons, Leigh-Anne managed the family law department at Chancellors Lea Brewer Solicitors in Bexleyheath for 8 years. Leigh-Anne has always specialised in the area of family law throughout her legal career and deals with all aspects of family law with a particular emphasis on divorce and separation, the distribution of assets and the resolution of disputes involving children following a breakup. Tanya started her legal career by studying Law and Accountancy at the University of Dundee. She graduated in 2004 and spent a number of years specialising in residential conveyancing before qualifying as a solicitor in 2011. Since joining Stantons in 2018, Tanya has specialised in Wills, Administration of Estates, Lasting Powers of Attorney and Court of Protection. Tanya continues to extend her knowledge and is currently studying for the Society of Trust and Estate Practitioners diploma.